when compared to other models. For domestic appliances, the label is MANDATORY. For furnaces, central air conditioning, and heat pumps, the label is VOLUNTARY at this time. 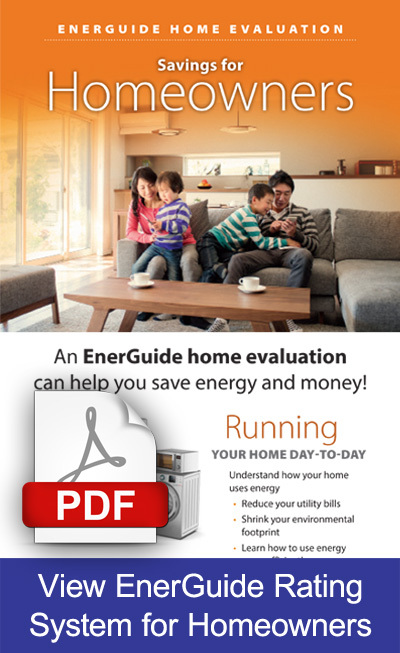 When it comes to home energy efficiency, and a desire to improve efficiency, the EnerGuide home evaluation is the ideal place to start. Evaluations are performed by professional Energy Advisors who are registered with Natural Resources Canada. In general, the advisor will explain the scope and intent of the evaluation so that the homeowner has a good sense of the process. In some cases, the advisor will go into greater detail about the diagnostic tools being used, and explain how the “blower door test” is used to determine airtightness throughout the home. 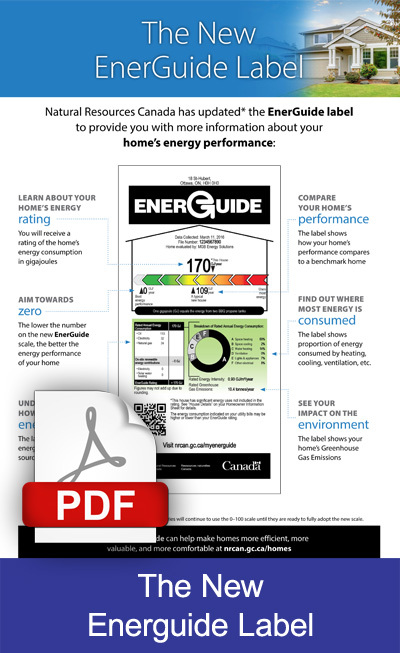 The EnerGuide home evaluation includes both the exterior and interior of the home. All of the data collected is then entered into energy simulation software for processing and analysis. 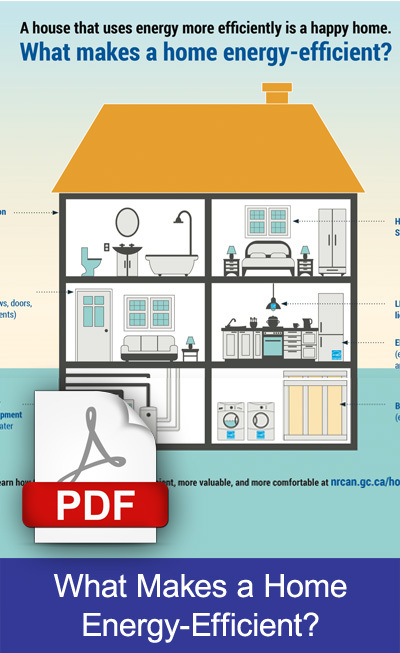 The bottom line with a home evaluation is to determine an EnerGuide Rating for the home. This is based on the data collected during the actual evaluation. The results are both informative and revealing for most homeowners, and allow for realistic improvements to be made going forward. When a home energy evaluation is complete, areas that need improvement are clearly articulated in a published report. In Toronto, and throughout the GTA, Barrier Sciences Group is an accredited Energy Advisor, working under the auspices of Natural Resources Canada. 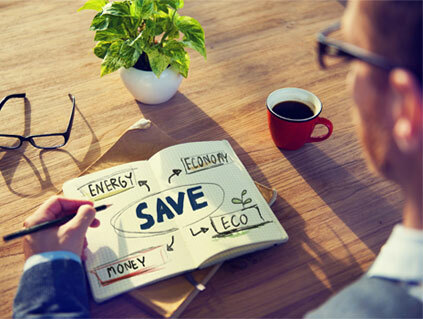 BSG works with homeowners to evaluate energy evaluations and recommend viable retrofits. These recommendations may include improvements to heat loss and air leakage; enhancements to R-Value insulation performance; and upgrading of ventilation systems throughout the home. All things considered, the idea is to resolve energy-efficiency weaknesses. 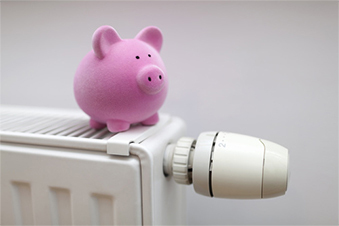 Bottom line, every effort is made to reduce energy consumption, and therefore reduce the costs of winter heating and summer cooling. In Ontario, it’s an ideal time to undertake energy retrofits, as the province offers a number of rebates and incentives to improve home energy efficiency. With Barrier Sciences Group, retrofits and upgrades can make a big difference year to year. 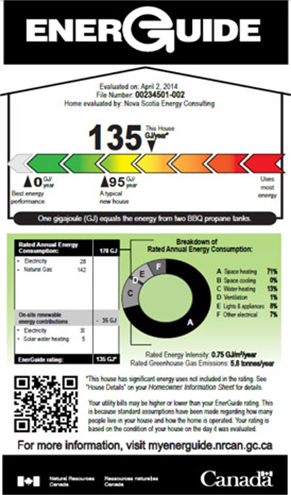 In fact, in the near future, most homes will require an EnerGuide Rating and “Label of Proof” as a matter of course.